customers served (give or take a few hundred thousand) since September 2004! Comments and opinions expressed on THE KNIGHT SHIFT are those of Christopher Knight and not necessarily those of subjects discussed in this blog, of advertisers appearing on it or of any reasonable human being. Any correspondence/irate letters/lawsuit threats/Nigerian e-mail scams can be sent to theknightshift@gmail.com. If David Lynch won't be returning to helm the new Twin Peaks, then he should be allowed to direct one of the new stand-alone Star Wars movies. It's been thirty years. He's ready. It almost happened anyway, with Return of the Jedi. Apparently Lynch was George Lucas' top choice to direct the third Star Wars film. But Lynch wanted to take the movie into... well, a different direction. One that veered away from the vision of the saga's creator. By all accounts the two filmmakers shook hands and each went their way: Lucas to pick Richard Marquand to direct Jedi. And Lynch would soon after direct the sci-fi epic Dune, based on the novel by Frank Herbert. That was more than thirty years ago. And in light of how there will be new Star Wars films that will tell different stories apart from the Skywalker mythology, there is now room for practically every director to potentially bring his or her vision of Star Wars to the big screen. It would likely be the most disturbing and confusing Star Wars movie that could possibly be conceived by maddened man. But I for one would trust Lynch to deliver. Time and again he's proven himself to be one of the premiere filmmakers of our generation or any other. And he does know how to realize a story that is approachable by any audience: witness 1999's The Straight Story for proof of that. Disney should let David Lynch direct a Star Wars movie. It's time. 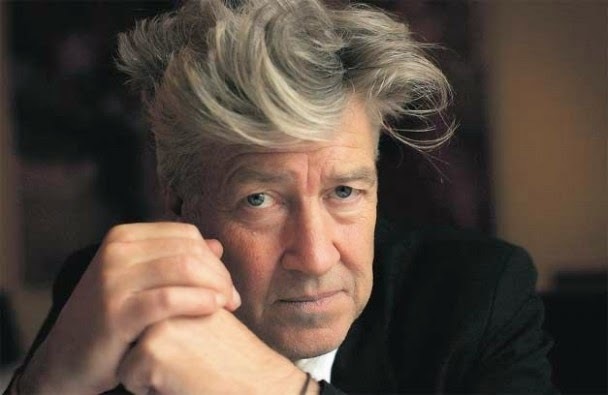 If Lynch can't be given the resources to return to his own creation of Twin Peaks, then the Mouse House should seize the opportunity to put Lynch's brilliant mind to work in its favor. David Lynch, directing a new Star Wars movie. He'll never touch it. Disney isn't Lucasfilm or Fox. Lynch is where he'd be past interested. But a Lynch-directed SW would be a great idea for a fanfilm. 100% pure odd products from the mind of Chris Knight, including the much-requested "My Political Philosophy" bumper sticker! Look! Viral Videos! Not Kidding! See FORCERY, the parody of Stephen King's Misery and is heavily featured in the acclaimed award-winning documentary THE PEOPLE VS. GEORGE LUCAS! featured on VH1, The Soup on E!, MTV, NBC's The Jay Leno Show and media outlets worldwide.